Sometimes exploring other experiences helps us better understand the process to make the right decisions for our school. Read the stories and learn of their successes and lessons. You've probably seen Corey Vidal's Star Wars a cappella on YouTube, or at least heard of it. You know the one where the guy sings all four parts of Moosebutter's awesome Star Wars tribute song (If not, you should youtu.be/lk5_OSsawz4). Since 2008 the video has been viewed by more than 18 million (!) people. Read the stories of others and learn from their successes and leassons. CSS (Cascading Style Sheets) is a a modern design language that simplifies the process of making web pages presentable, allowing you to control text colours and font styles, for instance. CSS3, the latest version of CSS, helps provide diverse options to make your web pages more attractive in a cost- effective, easy and time-saving way. 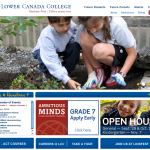 See how Lower Canada College in Montreal chose finasite and CSS to help redesign their portal website. Read the stories of others and learn from their successes and leassons. Appleby College in Oakville, Ontario spent some time recently reworking its website to better reflect its story. 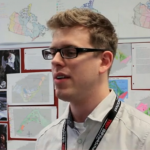 Michael O'Connor, Chief Marketing and Enrolment Officer at Appleby College, shares their experience. 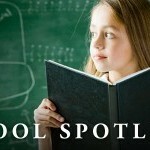 Read the stories of others and learn from their successes and leassons.